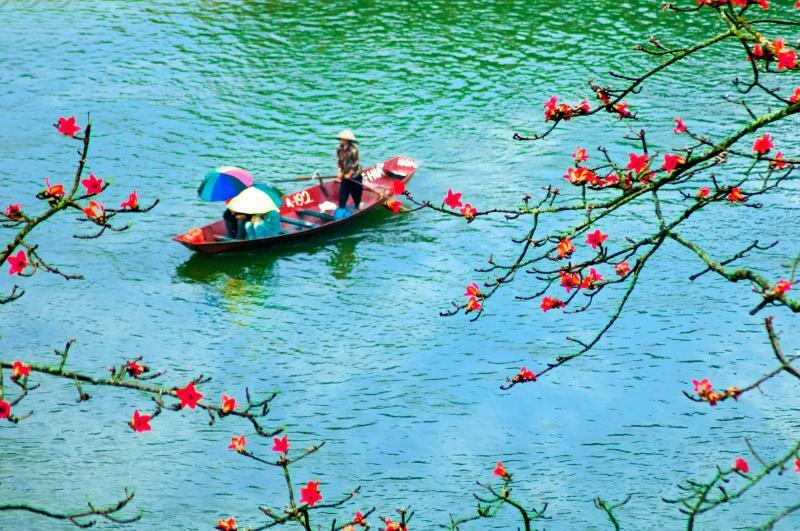 The beauty of Vietnam and Cambodia is so alluring that it is hard to capture them with a photo; their majesty is bursting from terraced mountain ranges and overflowing from the gregariousness of the people within the hill tribes and cities. 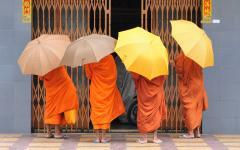 On this custom tailored tour you will find the remarkable nature illuminated within the photos you take, as an acclaimed photographer mentors you within the diverse streets of Hanoi and the intricate reliefs of Angkor Wat. If a picture is worth 1,000 words, Vietnam and Cambodia will speak of endless wonders. From the smile on a child’s face beside the meandering waters of the Mekong Delta to the berth of a cave hidden beneath an island on Ha Long Bay, both equally majestic and captivating, there is never a lack of images to capture on this 12-day tour through Vietnam and Cambodia meant for professional photographers who want to witness culture in pure detail or for amateur photographers who have never held a camera heavier than a disposable Panasonic. You will find breathtaking nature and friendly people, persistent culture and tremendous architecture, all ready to be immortalized within the click of the camera, but more importantly, within the memory of your trip. 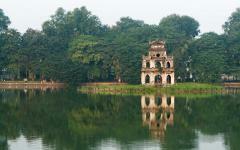 Your photographic Vietnam vacations journey begins with your arrival in Hanoi, the capital city of Vietnam. You venture through the city on a tour of its remarkable splendor that has mixed the iconic images of a modern landscape, complete with skyscrapers, with the peaceful stretch of countryside, from lakes to greenery. 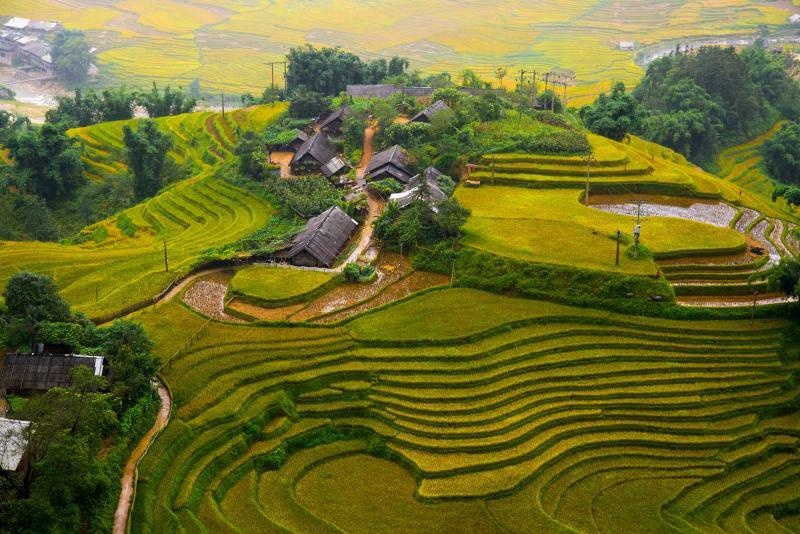 The following day you will make your way north towards the border of China to Sapa, known for the surrounding landscape and hill tribes whose cultures persist in the wake of expanding modernism. The hillsides are decorated with terraces, brimming with colorful garments, and are where you will find the diverse villages of Black H’mong and Red Dao. 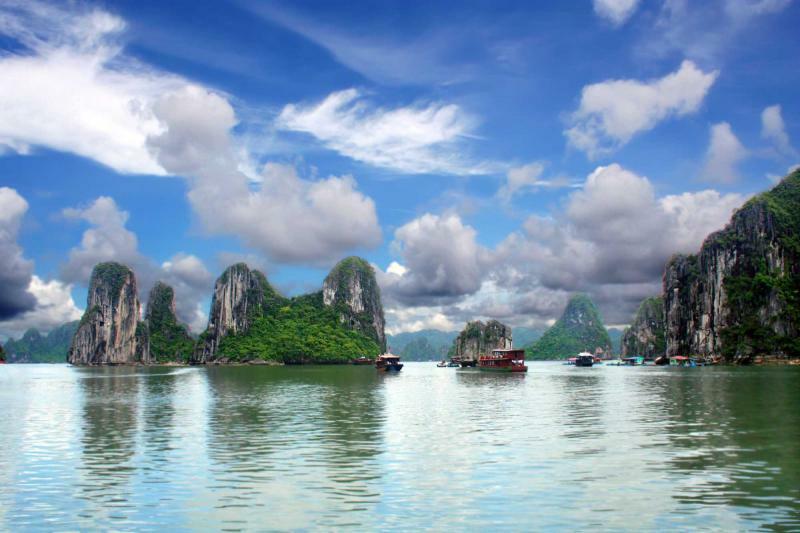 Once in Ha Long Bay you will venture out onto the water to witness the magnificent karsts that rise from the emerald surface of the sea. Natural caves tunnel through the variety of islands in wondrous procession. 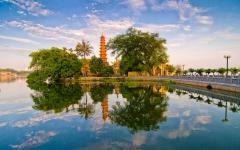 From the bay you will arrive in Ho Chi Minh City, once known as Saigon, and now the pillar of modern Vietnam. For two days you will cruise along the Mekong Delta, weaving through the water and the landscape to witness the people’s daily lives and the rising palms that rush along the riverbanks, before you venture across the border to Phnom Penh, Cambodia. 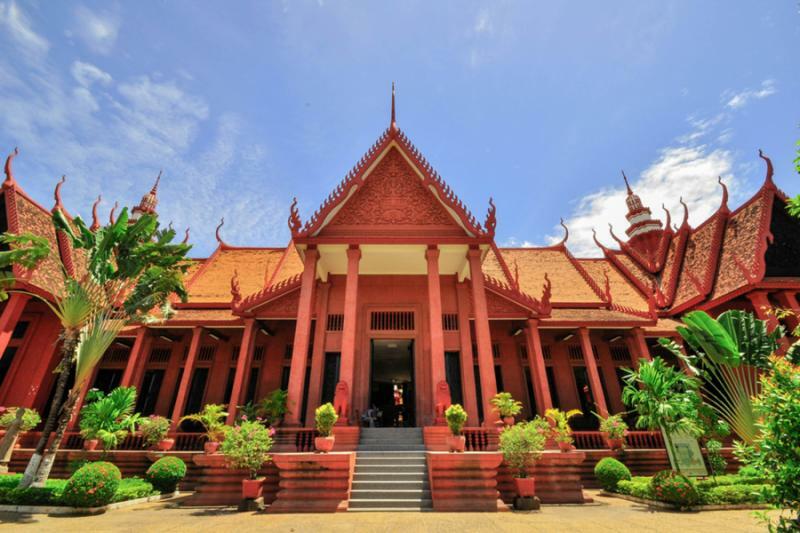 On your Cambodia tour, explore the varied streets of Phnom Penh, from its colonial past to its present still healing from history. 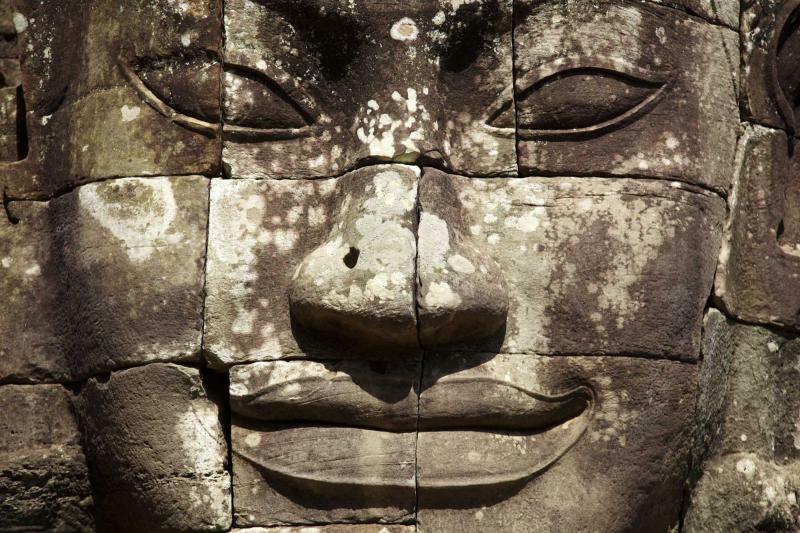 Once in Siem Reap you will spend two days experiencing the grand temples of the Angkor Complex, from Angkor Wat to Ta Prohm, indulging in their grandeur and making sure that every picture tells a story that words never could. 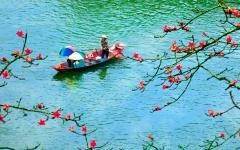 Welcome to Hanoi, the capital city of Vietnam. The city is energized in equal parts from its cultural traditions and modern movements. The skyline rises around serene lakes fringed with blossoming trees. The streets roar with cars and motorbikes but also overflow with bicycles ridden by people in button down shirts and conical hats. The contrast fits beautifully, an organic mixture of the evolution of the city that represents the vast differences of the country, from the rural to the urban landscape. From the airport you are met by private transfer and taken to your hotel. The wonder of the city is immediately apparent; the gregarious culture of the people is set within the sleepy town surrounded by a big city. 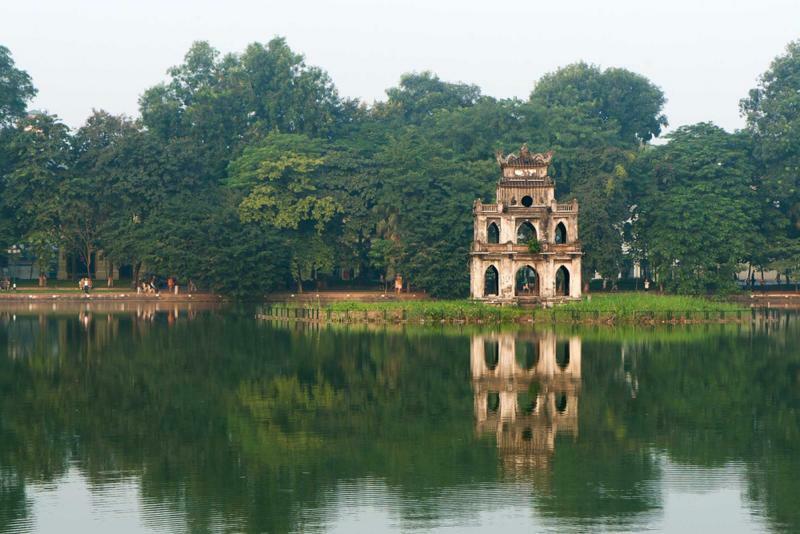 Set within the wide and bustling city streets is a majesty that represents the past and present of Hanoi. After breakfast you will set out along those streets to see how the city has collected its varied pasts and displays them proudly. 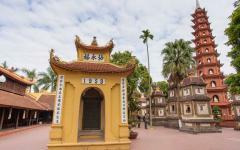 The scent of ginger emanates from the Big Market known as Cholon, and the Temple of Literature stands as an example of traditional Vietnamese architecture. 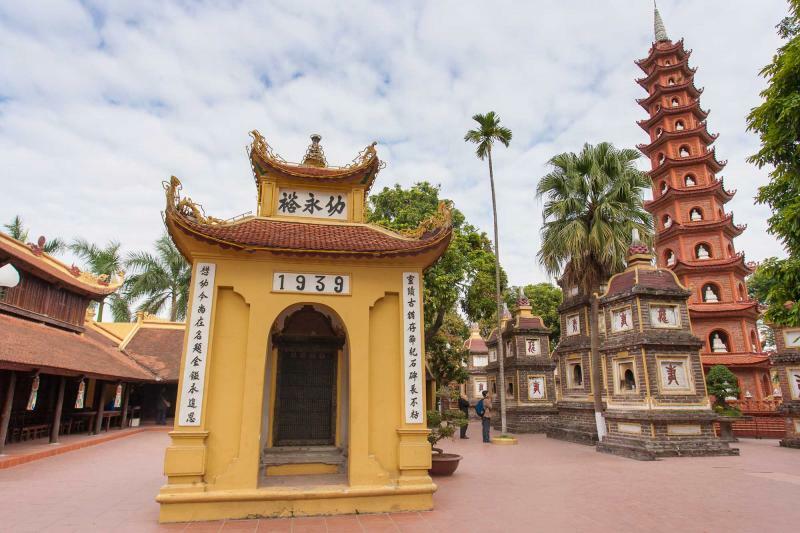 The temple was founded in the 11th century and is dedicated to Confucius, honoring Vietnamese scholars throughout time. Within the five courtyards are a variety of dedications, from great teachers to doctors, honored students and more. 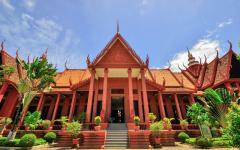 In the final courtyard you will find the Thai Hoc house, the first university of Vietnam. The sloped roofing and large plaza are surrounded by the lavish greenery and calm atmosphere that you will find all over the city. The sunlight glistens off of the pond and makes it easy to forget the time of day let alone the year, as you find yourself sitting within the grand history of the country. Within the high, gorgeous mountains of northern Vietnam along the border of China, you will come to the former French Hill Station of Sapa. The mountainous altitude gives a lush color to the rolling hills which are often covered in a morning mist, the scent and color of emerald grass climbing up and down the slopes. En route to the city you will find the stunning relationship between the hill tribes and nature, where the landscape gives you the iconic image of paddy fields terracing the steep slopes, layers of color and grace from the ground to the sky. Once in the city you will come to Sapa Museum, home to a great display of the history and ethnology of the area, including evidence of the French Colonial years. The exhibits differentiate between the cultures of the hill tribes, such as the Hmong and Red Dao, who have made the border region their home. The light shines over elegant displays of pottery while downstairs you can witness a crafts demonstration as locals weave traditional, colorful garments and offer them for sale. In the cool mist of the mountainous morning you feel the air drip down over the hills. The scent of fresh grass and soil lends a luscious earthiness to the early light. Today you will venture out of the city to experience the culture-rich villages within the hills, bringing you not only the wonder of those that continue their traditions but also the splendor of the landscape as the mist begins to dissipate. When you arrive in Ta Phin Village you will find the Red Dao people hard at work on their daily routines. Their clothing is made of woven black shirts with vibrant red geometric lining around the neck and down the front. Water buffalo graze over the lush land while smoke drifts from the fire. Women hold colorful threads to weave their clothing within the shade of the homes that litter the mountainside among the terraces. Whether you stay in Ta Phin Village or continue to the Black H’mong Village along the trail, the people are filled with smiles and curiosity, wishing to show you their way of life outside of the cities where the true splendor of nature shines. 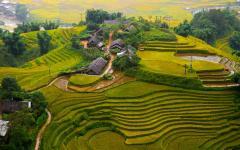 The day lends itself to the landscapes around Sapa as you make your way southward toward Hanoi. 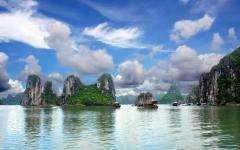 The palette of landscape displays reminders of the sensational scenery of Vietnam. 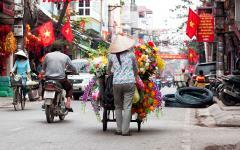 Pass through the village of Dien Bien Phu where the French were defeated in the early 1950s. The village itself is located in a heart-shaped valley where forested hills wrap around the jovial people. The mountains climb and roll over one another in the distance and the contemporary history continues to litter the outskirts of town, filled with empty tanks and high-powered artillery. The contrast of the glowing grassland intersected by remnants of a battlefield is captivating. 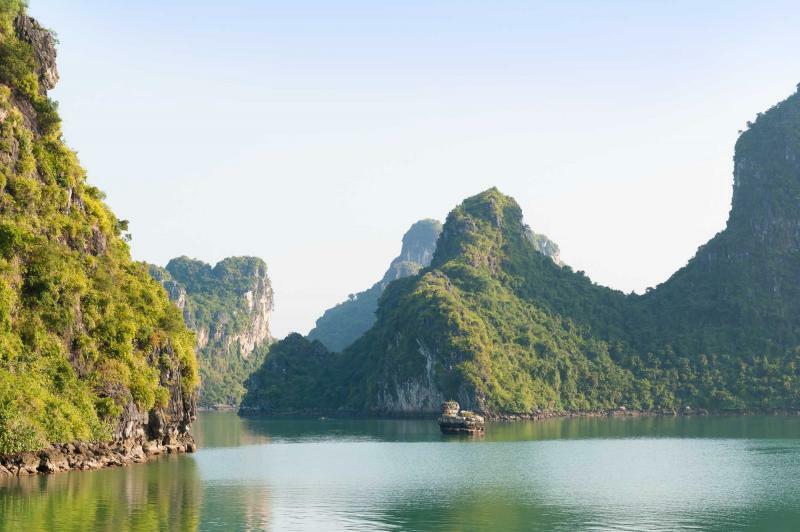 As you continue your journey you will come to Ha Long Bay in the late afternoon where the light glistens over the sapphire water and reflects off of the limestone karsts. When the morning rises over the water you can see the hues shift from sapphire to emerald, colors like those of precious stones shimmering in the light. Chinese junks drift through the bay with their ridged sails billowing in the breeze. The scents of limestone and sea blend together. The rising karsts are unique and stunning, some pressed together while others stand alone, covered in vibrant foliage. The more you explore the bay the more natural beauty you encounter. Within the Sung Sot Cave on Bo Hon Island is the widest grotto which dips deep beneath trees and foliage. Stone blocks have been elegantly paved by time and the elements and the cool air sweeps through the echoing cavern. The slick walls are apparent and undulate in stalactites. Walk along the path from the outer chamber to the inner chamber and find the walkway over nine-feet wide and filled with shaped rocks that resemble various scenes, such as posing animals. As the day wares on you will return to Hanoi to make your flight to Ho Chi Minh City where you will have the evening at rest. 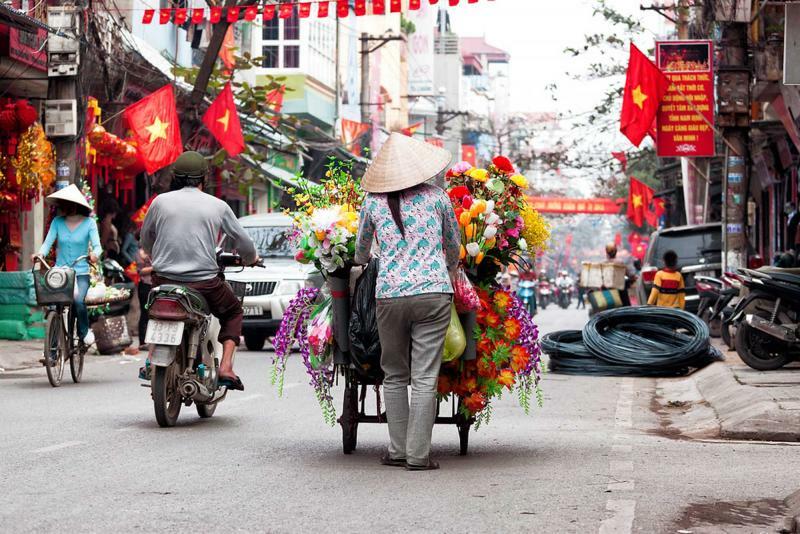 The early morning rises over the city, once known as Saigon, giving the quiet streets a new and revived energy. 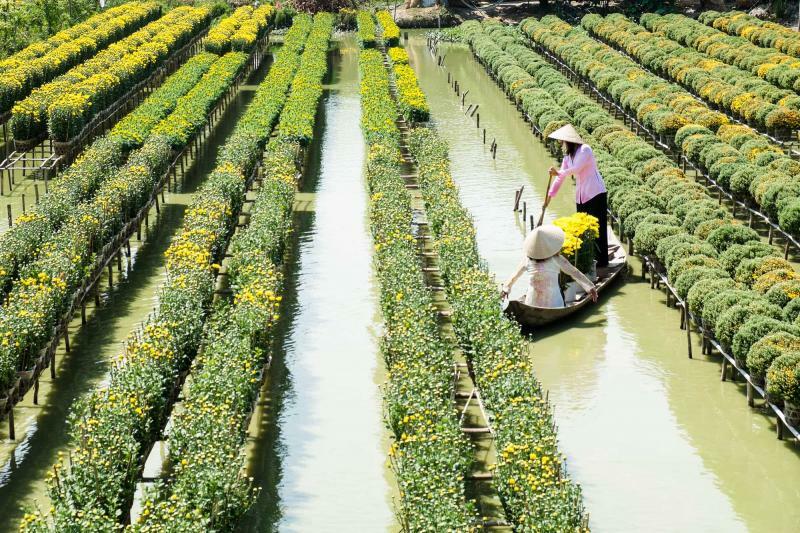 With the scent of ginger and chili paste splashing through the morning you will leave the city behind and venture to the Mekong Delta, a wealth of water that separates into nine distinct rivers throughout Southeast Asia. Climb aboard your boat where you will spend time wandering through the expansive windings of the Mekong, home to vast cultures that thrive beside the riverbanks. 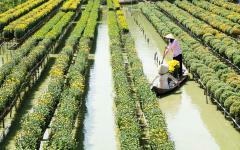 You’ll begin your exploration with the Floating Market at Cai Rang. At first you notice the large swath of boats drifting through the water, canoes swarming the riverbanks with massive energy and focus. Then you notice the fabulous colors that burst from those very boats, each one almost overflowing with goods, from jackfruit to lemons, chili to chom chom, also known as rambutan. This is the culture of the waterway, where the people understand the importance of their local highway system for sharing and spending. Some women even cook fresh fish to order, frying them in a wok in their boat and handing them to their customer shortly after. As you continue to drift along the water you have already experienced some of amazement that the future has to offer. The serene waters of the morning wrap around you as the light lingers over the horizon. 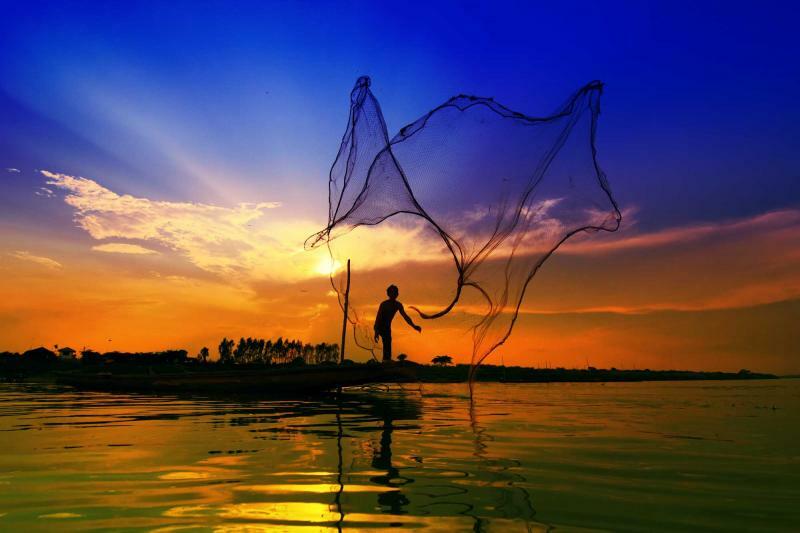 You continue your tour down the Mekong today combining your discovery of the waterway with an exploration of the land, ensuring that you find the mixture of the people that cultivate the earth and traverse the water. People pass by in the now familiar shallow skiffs using long poles to pull-push themselves along the rising palms. Farther down the water you find lavish greenery rising around a network of ponds and flood banks where the water rises and often overflows in the rainy season and lends its tremendous richness to the land. Lily pads pave the surface of the water and blossom with lotuses, shining incredible pink and purple petals against the surrounding emerald leaves. From the people to the land itself, your day traversing the water will once again take on the iconic portraits of the nation. 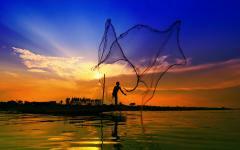 Today brings a new pace to the wondering waters of the Mekong as you come close to the border of Cambodia. The earlier part of your day will be spent on the Blue Cruiser continuing your journey on the Mekong, over the border into Cambodia and arriving within the capital city of Phnom Penh. The wide, palm lined streets next to the river give a brief recollection of the French Colonial past displayed through sparse remnants within the city. The bustle of the city winds through the inner streets away from the riverbanks. As you make your way through the neighborhoods you see the past and present blending into what has become the capital, where the images of the royal history, once considered the Pearl of Asia, continues to rise from the fragments of a tumultuous modern period. 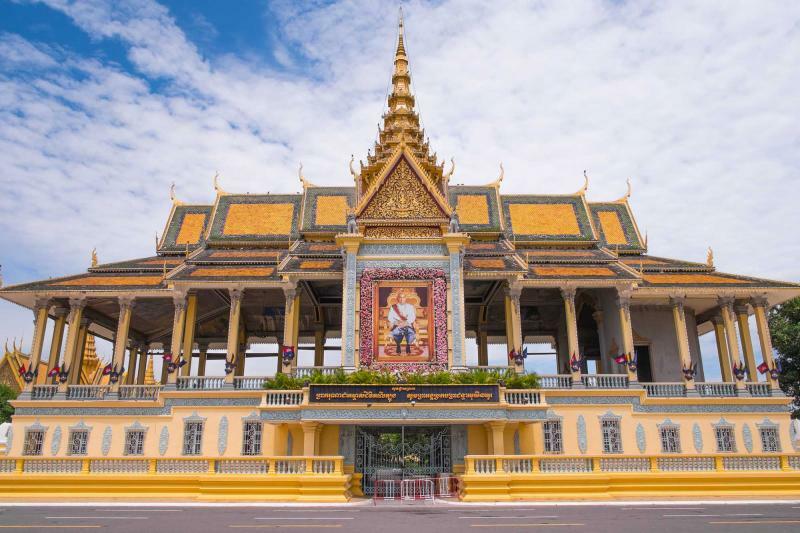 On the Royal Palace compound you will find the Silver Pagoda, known not only for its intricate stupa with jutting concentric layers that look carved with draping shapes, but also for the decadent display of dedication to Buddha. A staircase made of Italian marble leads up to the Pagoda while the interior houses a Buddha made entirely of Baccarat crystal sitting on a glistening pedestal over a dais. The light glints off of the precious stones and marble, showcasing the jewels and the extraordinary reflections shaped by nature and crafted by artistry. When the morning rises over Phnom Penh the city will come to life with a resounding grace. 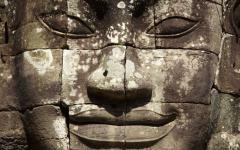 After breakfast you will make your way to the airport for your flight to Siem Reap. 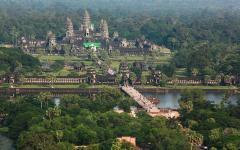 The city sits adjacent to the famous Angkor temple complex housing the most notable temple of Angkor Wat. The afternoon sun brings a wash of light to the surrounding jungle trees. You will be guided through the enclave of the royal city finding the bulging stones and delicate detail along the way. 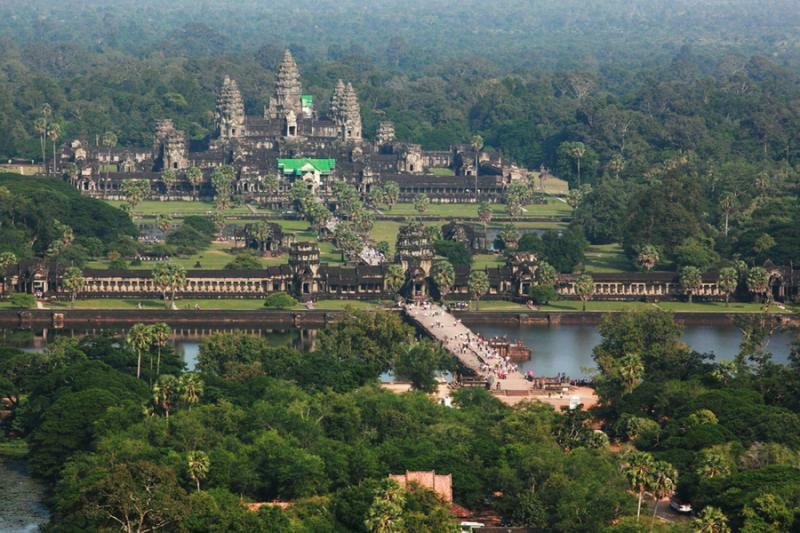 Angkor Wat, which means City Temple, was constructed in the 12th century and is dedicated to a Hindu deity. As you cross the main bridge and come to the central plaza a pond stands before the large, outstretched temple. Monks in orange robes stroll along the open air while five large stupas rise over the stones and reflect in the water. The entire complex was built on a hill imitating the legend of Mount Meru, which can also be seen in representation of the central tower. The elegance of the architecture and detail of the reliefs combine to make the wealth of the temple equal in both its size and construction. Incense wafts through the central gallery where monks have set up a station to pray, giving a spice to the air and a comfort to the drifting light. Before the morning stretches over the city you are out in the cool air of the dawn as part of the collection of dedicated visitors that wish to see the sunrise over the temple. However, unlike the eager rest that will stand within the large square in an attempt to see the sun peek over the central stupa, you will find yourself at a different temple, within the serenity of the pre-lit morning, and able to enjoy the quiet, cool breeze, and the harmonious sounds of sunrise. Ta Prohm is filled with a sense of discovery, as if you have stumbled upon the remains of a lost city that has been forgotten for centuries. Within the shadows of the morning you can watch the light begin to hit the covered stones and towers wrapped in roots that have tangled over and around the powerful walls. When the daylight finally sweeps across the sky you can find the hidden reliefs of the temple running beneath the draping foliage. As the day continues you will witness the exceptional architecture found within the intricacies of each temple, each different from the next, yet collectively unified. The morning comes fast and late today, giving you the opportunity to spend the early light however you wish. Breakfast comes like a whirlwind bringing the scent of rich coffee and buttery baguettes to the air. The splendor of the temples has stayed with you through the evening and you know that soon you will be on a plane homeward bound. Your time in Vietnam and Cambodia has allowed you immerse yourself in the cultures of the past and present, where cities shined in the skyline, villages climbed along terraced mountains, locals drifted along waterways, and you captured every second. 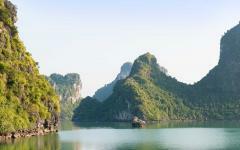 To read about traveler experiences, be sure to read the reviews of Vietnam tours and Cambodia tours reviews.